Twenty days . . . 19 days . . . 18 days . . .
It’s the time of year when school-aged children everywhere are celebrating the end-of-school countdown. For most kids, it signifies anticipated days of staying up later and sleeping in longer. It’s spending muggy days at the pool, riding bikes with their friends or leveling up on the latest video game. It’s schedule-free; it’s carefree. But for some parents, when school is out, it’s likely that the food is out as well. For struggling families who rely on school food programs to help feed their children, the summer months can be challenging. Without the school lunch subsidies, this can mean providing an extra 140 meals over the summer for a family of four. These are extra meals without any extra means of affording them. These families turn to our food pantries when they have no other options. While demand increases, food donations tend to decrease throughout the summer. At Catholic Charities of Northeast Kansas, we refer to this as a “summer food drought.” At a time when families need us most, our pantry shelves are growing empty. The lack of donations can have a ripple effect. When donations are down and our shelves are bare, we don’t have as much food to give out. We compromise by giving out less food per person. Eventually, our clients reach a breaking point where they can no longer stretch the food they receive out any further. The stress for these families mounts even higher when, faced with the decision between buying groceries or paying their rent, they are all too often going hungry. Even through the expansive efforts of our Kids Summer Food Program, we recognize we cannot feed every hungry child in our 21-county service area this summer. Perhaps it’s not feasible for a working parent to get to one of our food sites or it’s just not yet available in their area. Whatever the reason, we are working to resolve this need through our food pantries. But we can’t do it without your help. All of what we do would not be possible without food donations from our community. 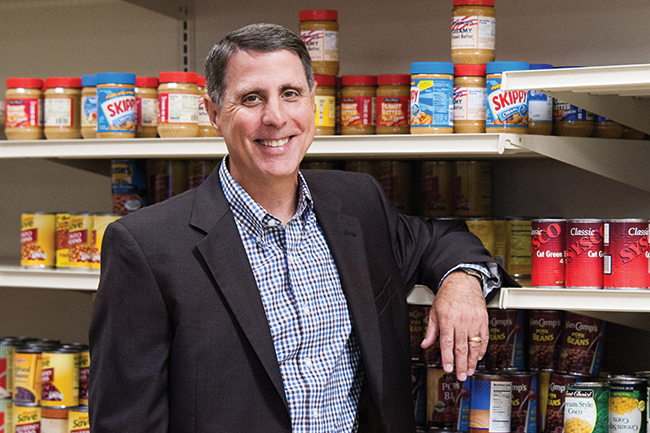 Together, we can help keep our shelves stocked and our neighbors in need fed. Everyone can do something. Perhaps you can donate a few cases of food or maybe you toss a few extra items in your cart at your next visit to the grocery store — all donations, big or small, are welcomed and appreciated. In addition to parish and grocery store food drives, donations can be dropped off at any of our nine food pantries. Visit us online at: catholiccharitiesks.org/givehope for a list of needed items and locations. No one should experience hunger this summer — especially a child.